I just tried out these rechargeable batteries from SunLabz. I got the D size of batteries. It seems like to me we are always buying batteries in this house! My five your old is the worst, she goes through batteries like crazy. So I was super excited to find these rechargeable batteries from SunLabz. I was really surprised at how well they worked. They work great, you will need a battery charger because it does not come with one (I think that was my biggest dislike of this product) but if you have one or if you purchase one separately just insert the batteries into the charger and let them set the required amount of time. Then you have a brand new set of batteries. I was worried that I would be spending a lot of time recharging these but I was pleasantly surprised that they lasted the same amount of time as a normal set of batteries. You can recharge these 1000 times! So for the price you are getting a huge value! Not to mention how environmentally friendly this option is! So pick a package of these up today! CHOOSE RECHARGEABLE: SunLabz s mission is to provide smart energy solutions that will encourage more people to switch to rechargeable batteries and other Eco-friendly energy sources. In the United States alone, each year 2.9 billion batteries are thrown away with 179,000 Tons of them ending up in Landfills. By taking a small step through switching to rechargeable batteries and recycling old cells we can make a difference together! MAKE A SMART FINANCIAL CHOICE: Because our cells last longer and can be recharged over and over again you can now save on buying and throwing away expensive single use batteries. With the average US household buying up to 120 batteries a year, costs can quickly accumulate. Removing the dependence on single use cells is not only a smart ecological choice it is also the right financial choice. 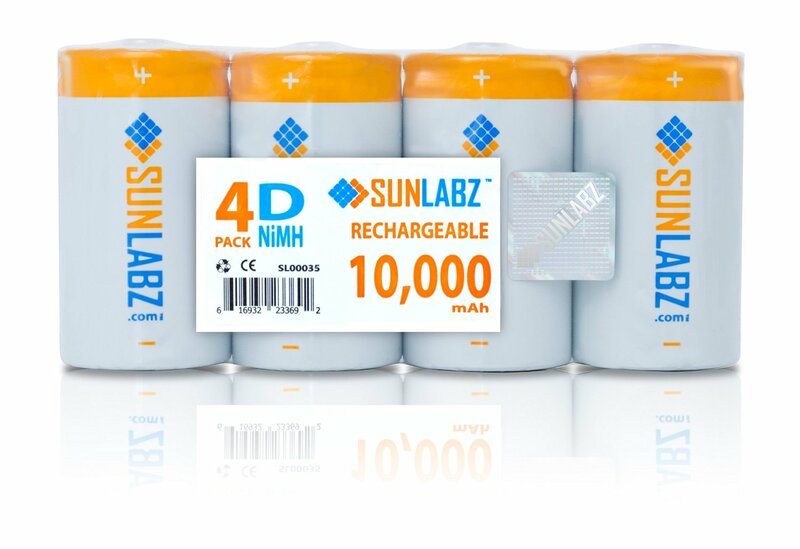 GET MORE CHARGE CYCLES: SunLabz s batteries can be recharged 1000x times, this means you are getting more out of each cell and can depend on their quality for any applications from cameras to flashlights, remote controls and more. You can purchase yours on Amazon!